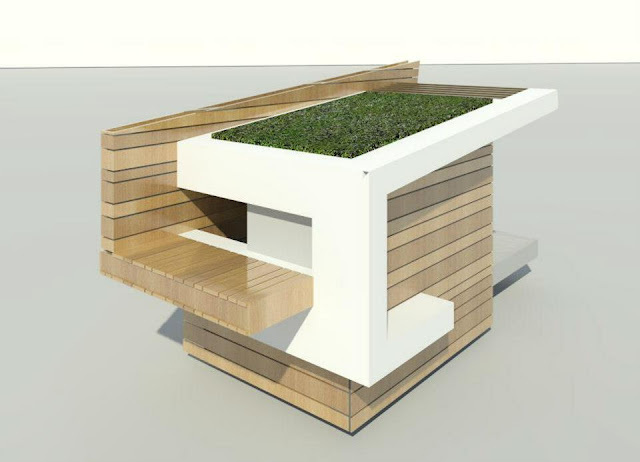 The reclaimed wood Dog RE-treat is designed by Alejandro Pijuan, designer with LA architectural firm Johnson Fain. 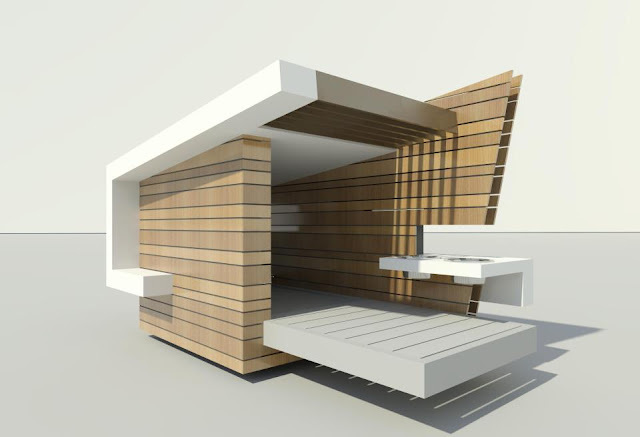 His Siberian Husky inspired him to design and build what a dog wants and needs for shelter. The house will ultimately be auctioned off with proceeds benefiting a husky rescue group called Alley’s Rescued Angels. I really love his use of materials and its slatted horizontal reclaimed walls. Your pup would love to bask in the sun on its grassy rooftop too. Your pup will feel invited to every party nuzzling inside this cozy and mod BowHaus sanctuary by DenHaus. 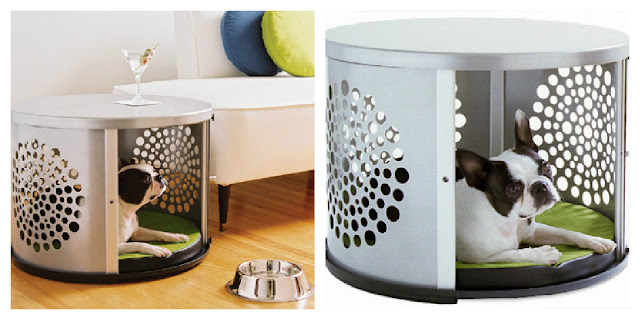 Made out of powder coated steel, it doubles as an end table with its sleek curve and peekaboo starburst cutouts. Looks easy to clean too. 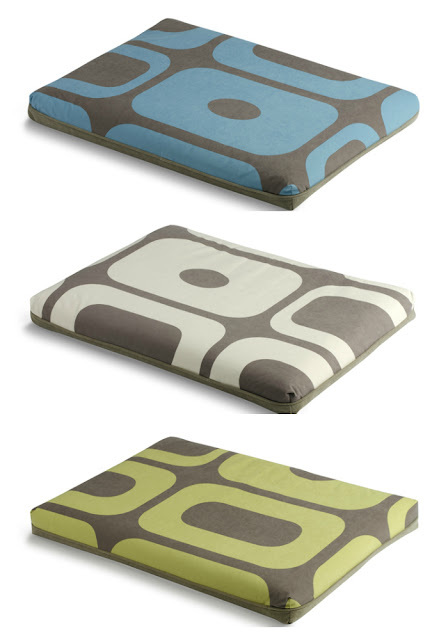 Playful and artful futon suede beds called Mod block by Crypton Home are perfect to pamper your pooch! Its Crypton super fabric is stain, moisture and odor resistant. Love its colorful block prints, environmentally friendly too! Love it! The first one looks awesome! This is very timely for me to look at. We too, built a custom eco friendly dog house made with aeromatic cedar on the inside, Douglas-fir and Canadian Maple scraps from our cabinet shop on the outside, a roof gutter water catchment system that had a tap to turn on and fill up the water bowl, motion powered solar lighting, and a weather station. We spent the past 6 months raffling it off to raise money for our local Campbell River, B.C., Canada SPCA medical fund and presented them with the cheque today!